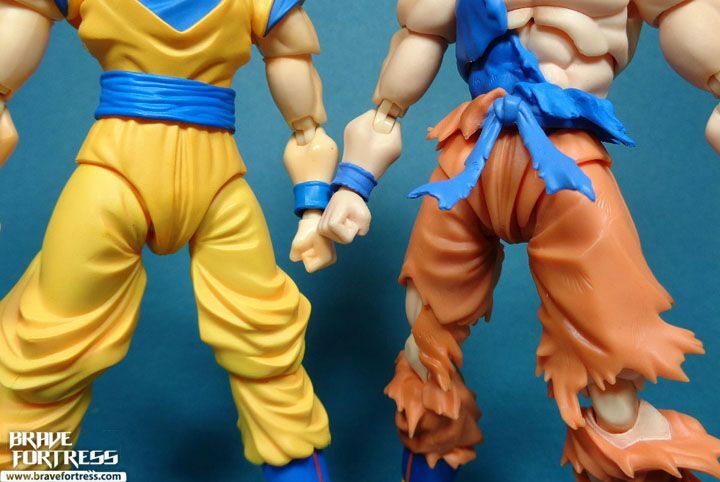 I really love the sculpting on this figure, the attention to detail is nuts. 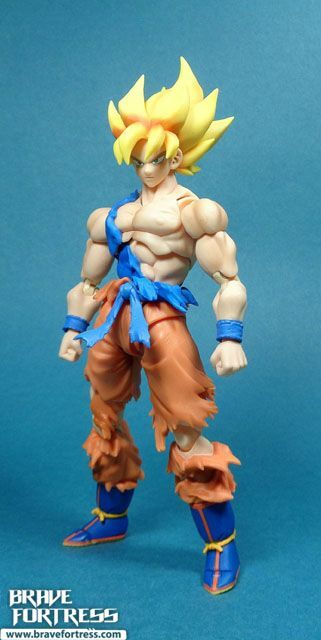 Even Goku’s wrist bands are tattered. 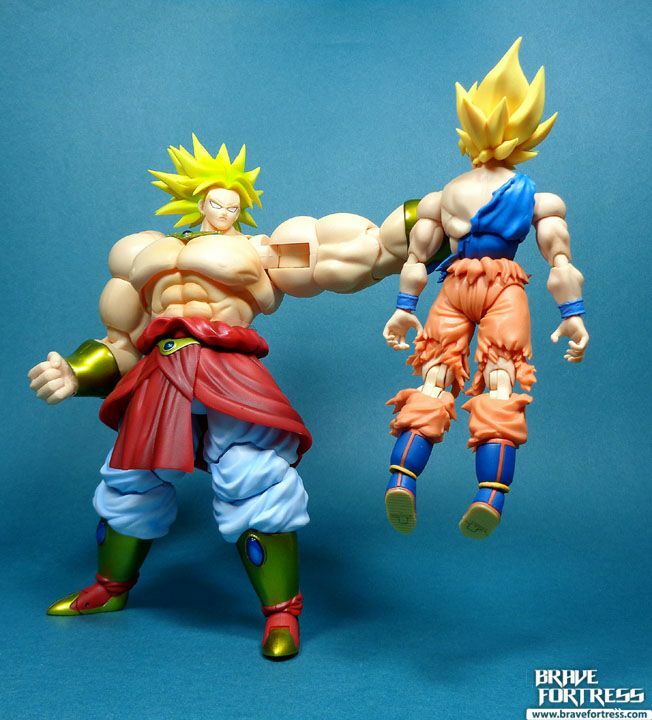 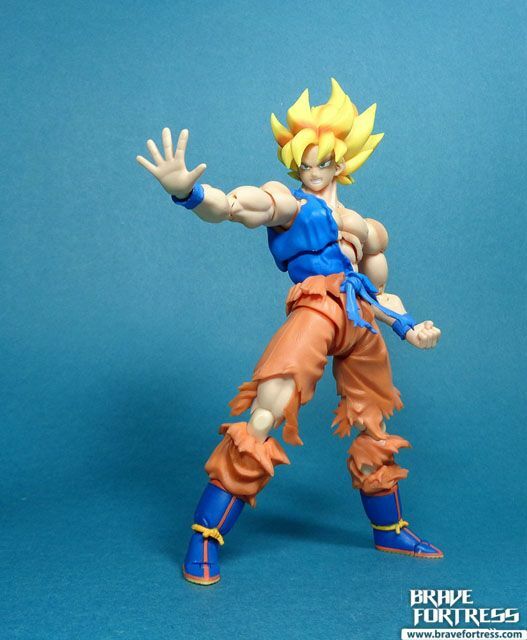 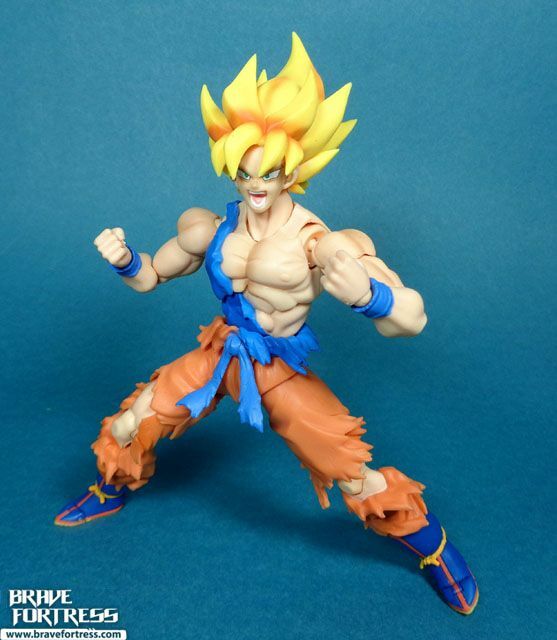 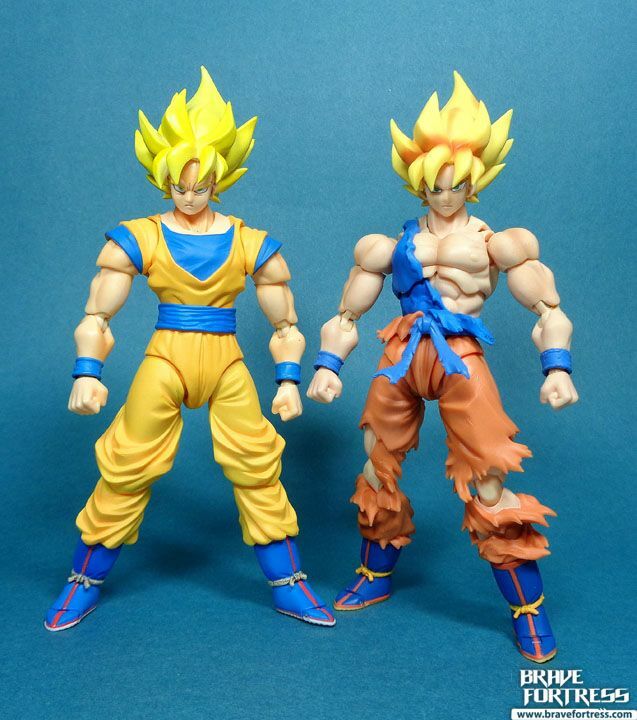 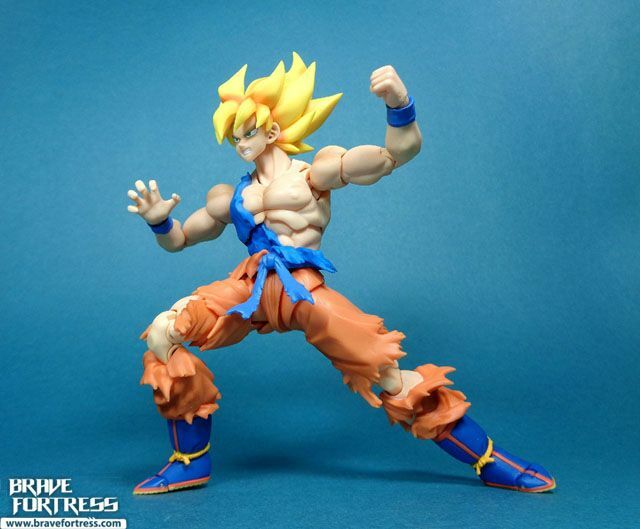 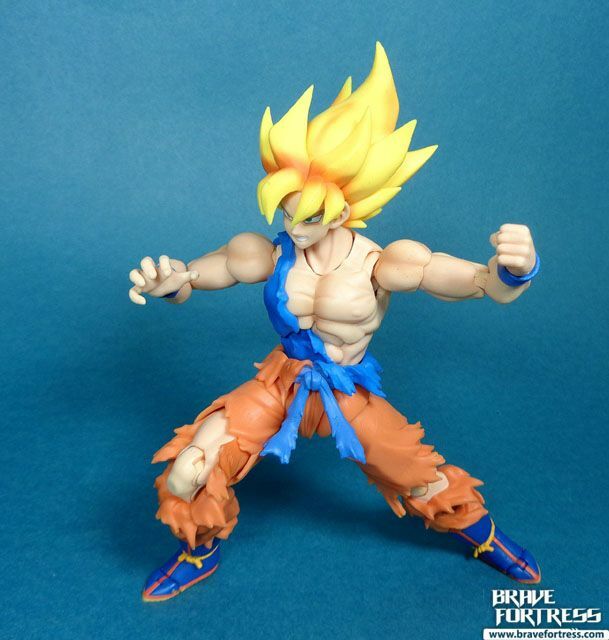 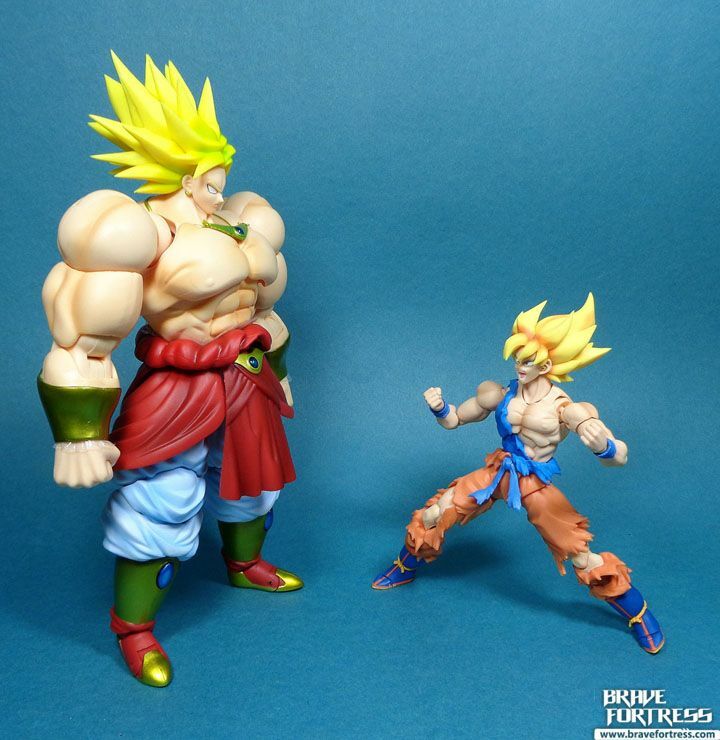 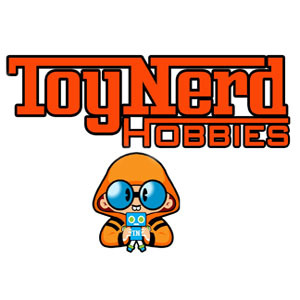 Comparison with the first SHF SSJ Goku. 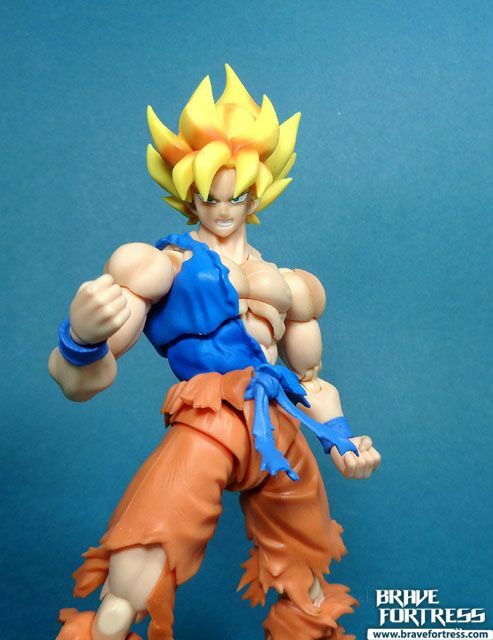 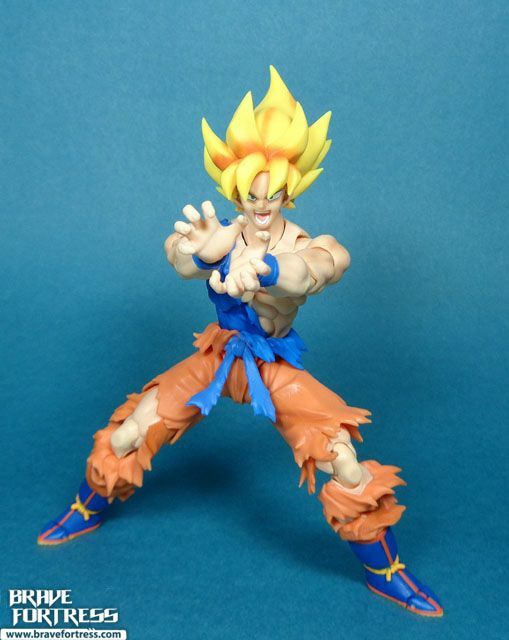 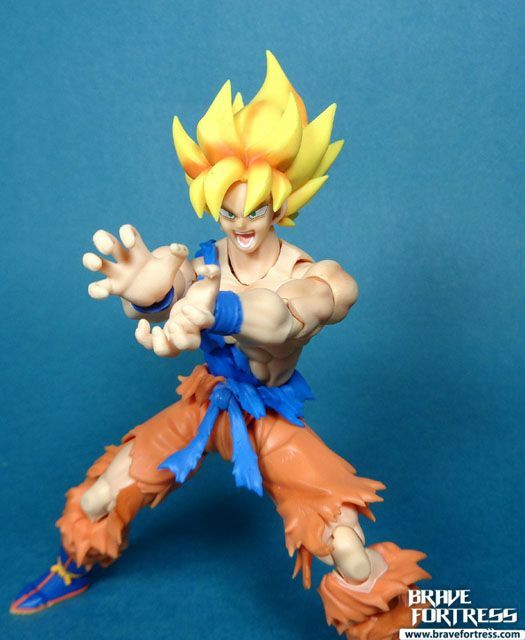 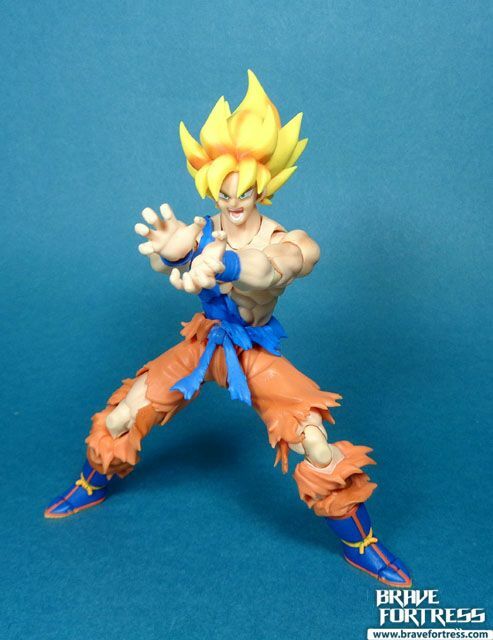 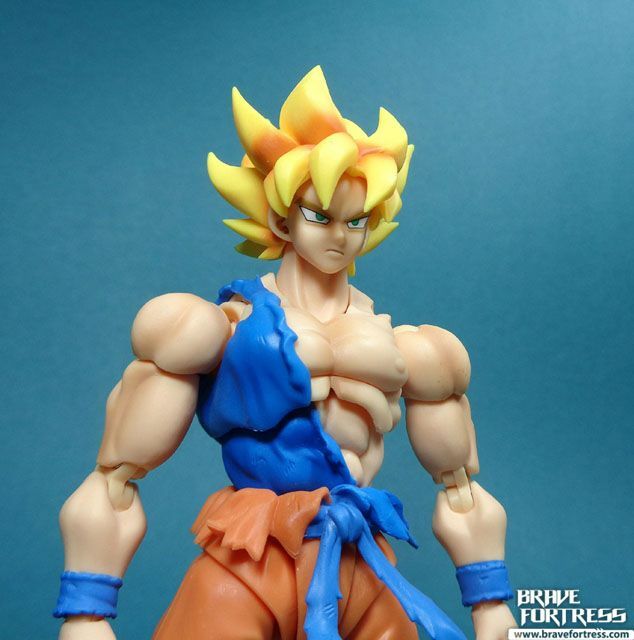 I’ll probably do a headswap and make the new head the default head on the non-damaged Goku if I ever display them. 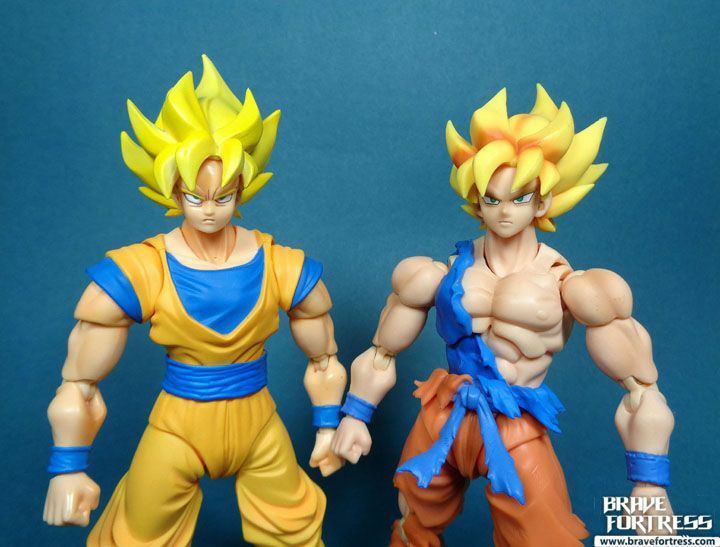 Man, the old one’s face looks like it got stung by a bee and had an allergic reaction next to this new version.